Using untreated, naturally-worn wood in the garden can offer a sense of warmth and a seamless integration into the surrounding landscape. This is almost a no-brainer, considering wood-as-a-building-material was once wood-the-body-of-a-tree. 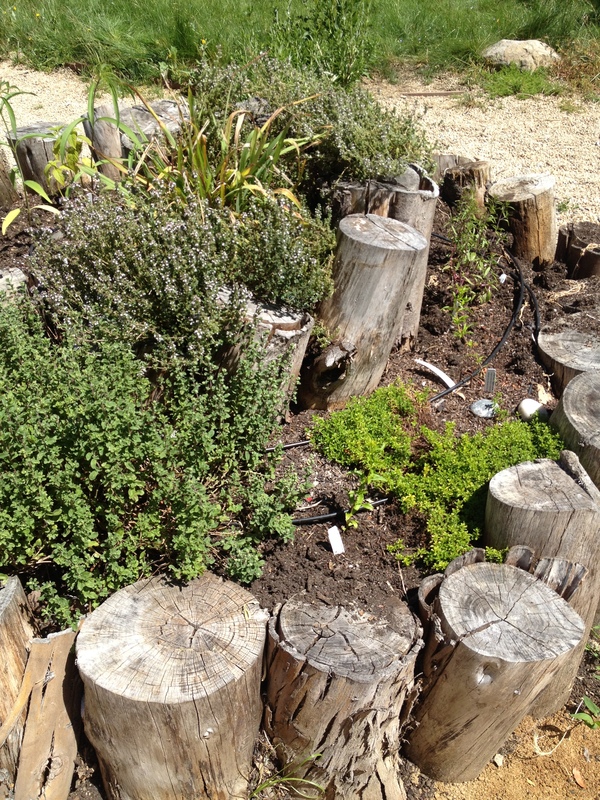 At Merritt College’s permaculture garden in Oakland, an herb spiral is shaped by short, uneven pillars. The wooden outline can also double as seats while the gardeners pick their thyme and oregano! 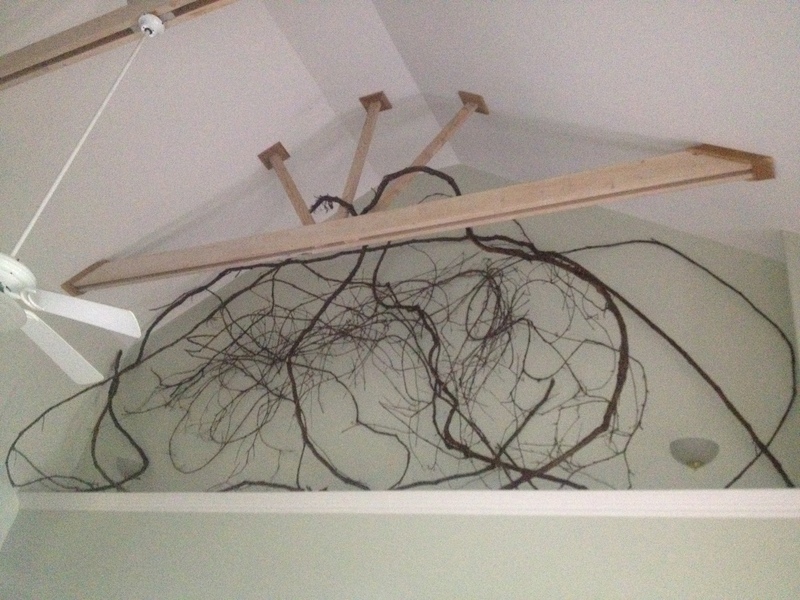 This is a wild grape vine that Elisa’s parents placed in a blank spot in their home. The twisty nature of this plant in inherently sculptural; it’s not hard to imagine using a dead, woody vine as a trellis for a more delicate plant, such as peas in a veggie garden. And check out this simple way to create a fun, different-looking path. 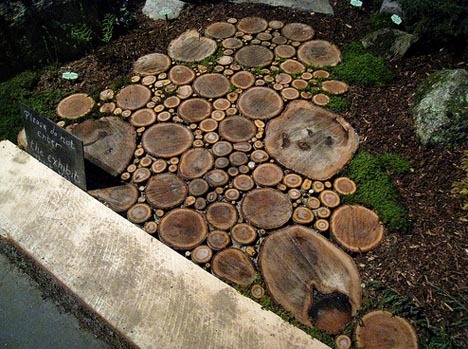 Simply cutting one- or two-inch pieces of log, then filling in the gaps with sand. Very pretty and woodsy (and easy and cheap! ).